Paintbrushes for Small Hands – Q-tips cotton swabs are the perfect-sized paintbrushes for children’s small hands. For the brightest pictures and the easiest clean-up, use a different one for every color. Remove Dirt and Grim Easily – Remove the grime from hard-to-reach places on model train gearboxes, drive axles and bearings with Q-tips cotton swabs. Extra Glue for Arts & Crafts – Q-tips cotton swabs and Q-tips Precision Tips are great for applying glue to models and arts and crafts projects. Use one tip to apply the glue and the other to remove any excess before it dries. Precision Tools for Pottery – Carving designs into pottery is made simple with Q-tips cotton swabs or Q-tips Precison Tips. Use these precision tools to put the finishing touches on sculptures. Easy Touch-Ups with Fresh Paint – Q-tips cotton swabs are the perfect tool to touch-up hard-to-reach areas on freshly painted model airplanes and cars – or even dollhouses. Fun Face Paint for Halloween! – For Halloween, use Q-tips cotton swabs or Q-tips Precision Tips to paint images – like daisies, rainbows, hearts and stars – on the face using different colors of liquid eyeliner and shadows. A Gentler Clean for Baby – Moisten Q-tips cotton swabs with warm water to clean your baby’s outer ear, folds of the neck or between toes, nostrils and eyes. Taking Care of a Newborn’s Needs – Dip a Q-tips cotton swab in rubbing alcohol to clean around your newborn’s umbilical cord. Medicine Application for Active Tots – Q-tips cotton swabs are great for applying medications and ointments to minor cuts and bruises – they are convenient, clean and disposable. A Fantastic Alternative to the Makeup Brush – Q-tips cotton swabs and Q-tips Precision Tips are an excellent alternative to using a makeup brush or sponge. They provide precise makeup application, are great for softening the bright colors, and safe for delicate skin around the eyes. Disposable Eye Shadow Brushes – Q-tips cotton swabs and Q-tips Precision Tips are great for eye shadow application because they are disposable so you can use a new one for each color to ensure hues stay true. No need to worry about washing brushes while layering colors…they are a cleaner alternative! Fix the Makeup “Oops”! – To fix makeup mistakes, just dip a dot of makeup remover on a Q-tips cotton swab or Q-tips Precision Tip – to erase it! Perfect for fixing a smudge without having to re-do your whole look. Keep Makeup In Place on Your Face! – Dip Q-tips cotton swabs or Q-tips Precision Tips under a little water to pick up any makeup particles that have fallen under the eye or on your cheeks. Highlight Brows and Cheekbones – As a great way to highlight and brighten the cheekbones and eyes, apply a natural shade of shimmer powder using Q-tips cotton swabs or Q-tips Precision Tips to the upper brow area and apple of the cheekbone. Rosy Up Those Cheeks – Rosy up those cheeks with a hint of pink shimmer. Use Q-tips cotton swabs or Q-tips Precision Tips to apply your shimmering powder to the apples of cheeks to get glowing in no time. A Healthy Glow – Year Round – Keep up a healthy glow all year by adding bronzer or shimmer to your cheeks using Q-tips cotton swabs or Q-tips Precision Tips. The Ultimate Smokey Eye Look – To achieve a quick smokey eye, draw a thick line close to your lash line using your eyeliner and smudge upwards with a Q-tips cotton swab or Q-tips Precision Tip to create a “smokey” effect. Dab Three Dots to Hide Under Eye Circles – Hide under eye circles by using one end of a Q-tips cotton swab or Q-tips Precision Tip to dab on three dots of concealer and the other end to blend in for a seamless finish. Keep Your Perfect Pout in Place – Keep lip color from bleeding by using Q-tips cotton swabs or Q-tips Precision Tips to apply loose translucent powder along the outer edge of the lips. A Quick Fix for Eye Shadow Creases – Smooth eye shadow creases on the lids with Q-tips cotton swabs or Q-tips Precision Tips. Create a Shimmering Glow – Use Q-tips cotton swabs or Q-tips Precision Tips to apply concealer or shimmer cream along the center of nose for a longer, thinner look. To further enhance the long, thin look, apply two dots of taupe shadow to either side of the bridge of your nose. For Longer Lasting Mascara – To dramatize eyes and keep mascara lasting all night long, apply extra coats of mascara. First apply one coat of mascara, then dip a Q-tips cotton swab or Q-tips Precision Tip in translucent powder and sweep over lashes. Finally, cover with a second coat of mascara. Define Cheeks with Cream Blush – To define cheeks, use a Q-tips cotton swab to apply cream blush to hollows of cheeks and blend it up and out into skin with clean fingers toward the hairline. Achieve a Softer Lip Color – To achieve a softer lip color, use Q-tips cotton swabs or Q-tips Precision Tips to line lips with blush. Dot Dot Dash for Softer Lip Liner – To soften your lip liner look, make a dot dot dash pattern with lip liner and use a Q-tips cotton swab or Q-tips Precision Tip to blend and soften. Ready, Set, Go (out)! – To set your make-up before a party, apply a loose translucent powder with Q-tips cotton swabs or Q-tips Precision Tips. Fill In Brows for a Softer Look – After tweezing eyebrows, fill in brows with an eye pencil or shadow. 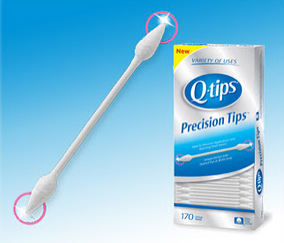 Wipe off any excess with a Q-tips cotton swab or Q-tips Precision Tip to create a softer look. Precision Powdering – Rather than applying powder on the entire face, use your Q-tips cotton swabs or Q-tips Precision Tips to dab loose powder only where you need it – for example, the center of the forehead, the sides of the nose and the chin. Come In for a Gorgeous Landing – “Roll” Q-tips cotton swabs or Q-tips Precision Tips in your favorite eye shadow and store in a plastic wrap – re-apply after flight. Apply Fake Lashes – Use Q-tips cotton swabs or Q-tips Precision Tips to help apply fake lashes! Start by applying a dab of lash adhesive to a Q-tips cotton swab. Keep the tip as close to the lash line and use it to guide the application of the faux lash strip. Simplify Your Beauty Routine – Simplify your beauty routine and space – stick to five beauty essentials: tinted moisturizer, a multi-purpose makeup stick for eyes, cheeks and lips, concealer, one tube of mascara and one of Q-tips cotton swabs’ four new beautifully designed Vanity Packs help apply your makeup. Create a Glossy Pout – Use Q-tips cotton swabs to apply lip-gloss from a pot. A Disposable Wand For Concealer – Use Q-tips cotton swabs to apply concealer from a container without a wand. Apply Eye Shadow – Use Q-tips cotton swabs to apply darker eye shadow color at the edges or along the lash line. Maximize The Life of Your Lipstick – Use Q-tips cotton swabs to get every last bit of color from a lipstick. Help Treat Blemishes – To help quickly heal blemishes, apply a small dollop of an acne spot treatment with salicylic acid to the end of a Q-tips cotton swab or Q-tips Precision Tip. They will help you treat blemishes without adding additional oils from your fingers. Mask a Blemish – To quickly hide a blemish, simply moisten one end of your Q-tips cotton swab or Q-tips Precision Tip with an astringent that contains salicylic acid and lightly dab on to the blemish. Use the other end as a makeup applicator to apply an oil-free concealer to mask the blemish. Apply Moisturizer with an SPF – To help ensure even sun protection, use Q-tips cotton swabs or Q-tips Precision Tips to apply a light moisturizer with SPF 15 or higher. Place a dot on your forehead, cheeks, chin and nose, and blend with clean fingers for even coverage. Remove Puffiness and Soothe Skin – Help remove puffiness under the eyes with Q-tips cotton swabs or Q-tips Precision Tips. Place in the freezer a small bag of Q-tips cotton swabs that have been dampened with water. Once chilled, roll under the eyes to alleviate any puffiness and soothe swollen skin. 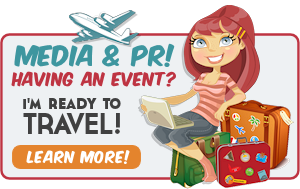 Carry-on Eye Cream for Long Flights – Instead of carrying eye cream on the plane – dip Q-tips cotton swabs or Q-tips Precision Tips in eye cream and store in plastic wrap. Dab on eye area after takeoff and put on eye mask. Go to sleep and wake up with gorgeous, moist skin. Anti-Wrinkle Spot-On Applicator – Use Q-tips cotton swabs or Q-tips Precision Tips to apply your anti-wrinkle cream directly to lines and creases. Ensure a Long-Lasting Fragrance – To ensure a long-lasting fragrance, dip a Q-tips cotton swab into your favorite perfume and apply somewhere on the skin where it will stay put – such as on the neck or behind the ears. Keep Summer Highlights Glowing – Keep your summer highlights glowing – use Q-tips cotton swabs to apply just the right amount of highlighter to your hair for streaks or for precision when touching up roots. The At-Home Manicure – Give yourself an at-home manicure and pedicure with Q-tips Precision Tips by lightly moistening the end with nail polish remover to create your own “magic wand” that instantly erases unwanted mistakes. Self-Tan Flawlessly – Use Q-tips cotton swabs or Q-tips Precision Tips to apply self tanning lotion around your eyes and nose for a flawless sun-kissed look. Flawless Hair Removal – When using hair-removal wax, use a Q-tips cotton swab or Q-tips Precision Tip to gently apply the wax to ensure precise application. Control Crazy Eyebrows – Control unruly brows by applying a small amount of Vaseline Petroleum Jelly using Q-tips cotton swabs or Q-tips Precision Tips. Cleaner Brow Tweezing – Before tweezing brows, use Q-tips cotton swabs or Q-tips Precision Tips soaked in alcohol or an astringent to clean the brow area. Create a Festive Shimmer! – Add a fun, festive glow by using Q-tips cotton swabs or Q-tips Precision Tips to “dot” shimmer lotion around the collarbone area or on the shoulders and blend. For Every Beauty Occasion – Occasions to have Q-tips cotton swabs or Q-tips Precision Tips on hand for beauty purposes include Prom, High School reunions, weddings, first day on the job, Halloween, and holidays. Furniture and Floors Like New! – Use Q-tips cotton swabs or Q-tips Precision Tips to touch-up paint on cabinets or walls. Apply wood stain to cover scratches in furniture or floors. Make Your Silver Shine – When you bring out the good silver for a special occasion, Q-tips cotton swabs or Q-tips Precision Tips are ideal for applying polish to small crevices. The Perfect Tiny Duster – Remove dust from picture frames, scroll-work and statues with a Q-tips cotton swab or Q-tips Precision Tips. Keep Your Computer Spotless – Keep your home office in good condition. Use a moist Q-tips cotton swab or Q-tips Precision Tip to clean the edges of the computer screen and between the keys on your keyboard. Clean Lenses and Mirrors Carefully – Dip a Q-tips cotton swab or Q-tips Precision Tip in alcohol for the perfect tool to clean classic camera lenses, mirrors or seals. Soft and Gentle on Cuts and Scrapes – Q-tips cotton swabs are soft and gentle enough to put antiseptic or ointment to cuts and scrapes. Cleaning Your Ears Safely – To clean your ears, stroke Q-tips cotton swabs gently around the outer surface of your ear, without entering the ear canal. A Cute AND Clean Face! – Use Q-tips cotton swabs for cleaning small crevices of your dog or cat’s face. Soft and Gentle for Furry Friends – Use Q-tips cotton swabs for applying ointments to cuts and scrapes on pets. Keep a Better Cell Phone Charge – Help your cordless phone keep its charge. Clean the battery contacts of your cordless phone with a Q-tips cotton swab or Q-tips Precision Tip dipped in alcohol. This helps maintain a good connection between the battery and the cordless device. A Relaxing Way to Travel – If you’re traveling, dip Q-tips cotton swabs in lavender oil and lightly dab under nostrils for a relaxing flight or train ride. Sweet Smelling Pick-Me-Up – Moisten the swab portion of a Q-tips cotton swab with a calming essential oil, such as lavender or eucalyptus. Dab the oil on to pressure points for a quick and soothing pick-me-up. Who knew there were so many uses for the Q-tips cotton swab, right? So, how do you use your Q-tips cotton swab? Be sure to follow Q-tips on Facebook for the latest updates! This is a compensated post from Q-tips. All opinions expressed in this post are 100% mine. qtips work great for cleaning a keyboard.. i use them all the time, mostly for that purpose! I was going to say the keyboard use too! I also use for cleaning the tiny crevices in the window corners and the cranking mechanism. I am for SURE not using them NEAR enough for all those beauty uses..maybe THATs why I look like I do? haha. thanks for posting! Life would seem really WEIRD without Qtips! Wow, I would have never thought to use Q-tips for most of these. Thanks! What great ideas! We use q-tips for art projects all the time. You can just dab the paint onto the q-tip. There are so many ideas on pinterest too! Wow– I knew there were lots of uses for Qtips, but that is quite a list! I’m glad you mentioned the one about polishing silver. We just opened a box today that is SO tarnished, and I literally thought, “How am I going to get in those little corners?” for some of the items. Perfect! Who knew there were so many uses for the Q-tips cotton swab, right? So, how do you use your Q-tips cotton swab? Be sure to follow Q-tips on Facebook for the latest updates! I use Qtips to gently remove water from my ears and fix nail polish booboos. I am following Q-tips on facebook. I did not know there were so many uses for Qtips! I have always known not to clean your ears with them though. I have used the blemish one, but I will have to try all the others as well. Thanks!